As a new graduate with MedStar Washington Hospital Center, you’ll join a team of the best and brightest nursing talent available. We offer one of the industry’s most comprehensive a nd supportive RN Residency programs for new graduates. 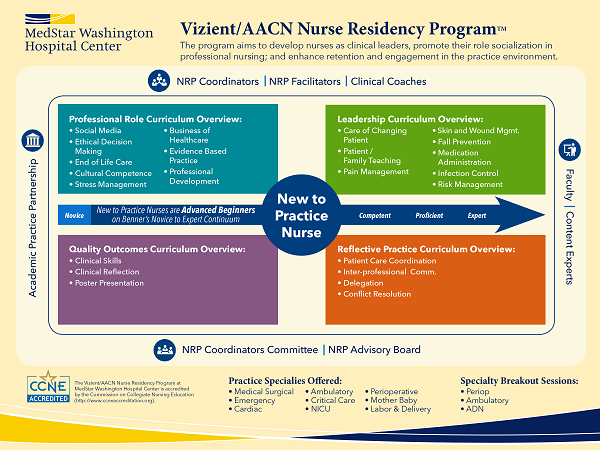 To qualify, RN Residents must possess a DC RN license at least two weeks before the start date. (Be advised that required background checks and fingerprinting may add several weeks to the licensing process).